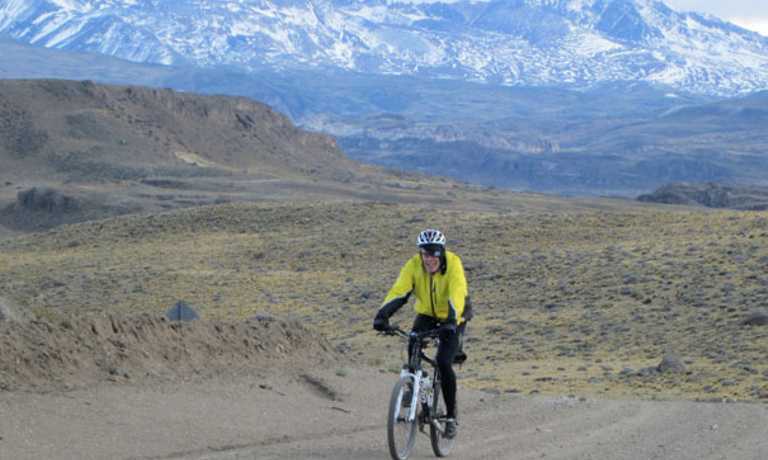 Cycle 334 miles of the southern section of Chile's infamous Patagonian highway. 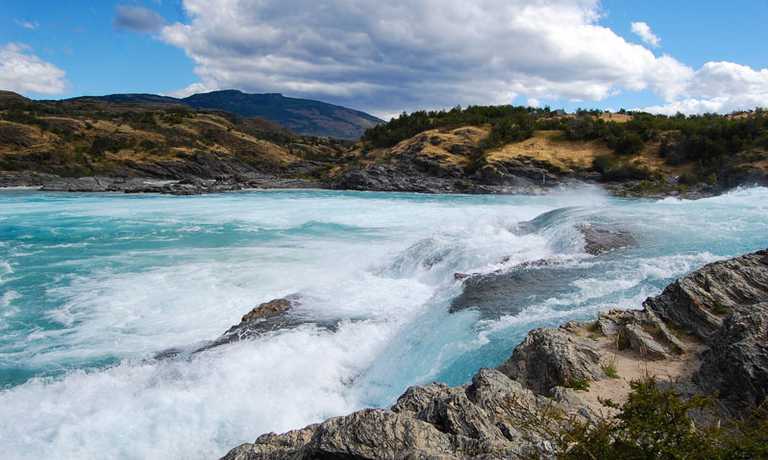 This is a wonderful way to see the less visited Aysen region of Patagonia, as well as witnessing Patagonia's most famous glaciers and the dramatic Mount FitzRoy. Travel from your location to Buenos Aires. Make sure your bike arrives! Free time in the city. Lodging (optional): Hotel in Buenos Aires. Flight Buenos Aires-Comodoro Ribadavia. Van transfer from Comodoro (Arg) to Chile Chico (Chile). The trip takes 5 hours (486 km/302 mi). 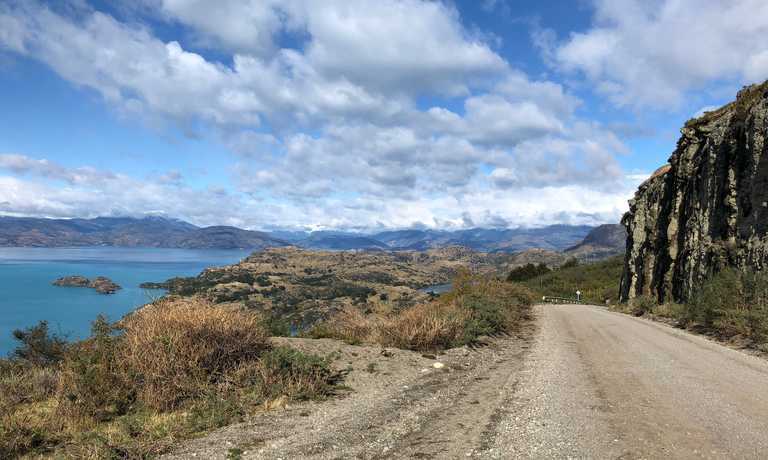 We start our journey towards the Carretera Austral, on a dirt road with very little traffic and spectacular landscapes, along Lake General Carrera - the largest lake in Chile and the second largest in South America. The lake extends into Argentina, where it's called Lake Buenos Aires. Lodging: Puerto Guadal, huts. We leave behind Puerto Guadal and ride towards the South, to Cochrane, the capital of the province of Capit?n Prat, a village of 3000 inhabitants that presents itself as the main centre of services in the region of Ays?n (Banking, ATM, Hotels, and Restaurants). Lodging: Cochrane, hostal. Going deep in Patagonia. We detour from Carretera Austral and go west to Caleta Tortel, 103 km/ 64 mi from Cochrane, by a road built only in 2003. Lodging: Caleta Tortel, hostal. From Tortel we have to backtrack 20 km/ 12.42 mi to resume the Carretera Austral, towards the south. We then arrive at Puerto Yungay (optional van ride to this point) where we will cross a fjord on a barge (45 min), which leads us to the last section of the Carretera, opened in 2000. From the South bank (Rio Bravo) we still have 100 km/ 62 mi of wildlife until we reach O'Higgins. Lodging: Villa O'Higgins, hostal. We get up early and cycle a 7km/4.3 mi path along the river Mosco and cross and then follow the river Mayer until we reach Bahamondez Bay. We will cross Mayer river via the Augusto Grosse Bridge (123 m/ 403 ft) and a 500 m/ 1640ft pass way. 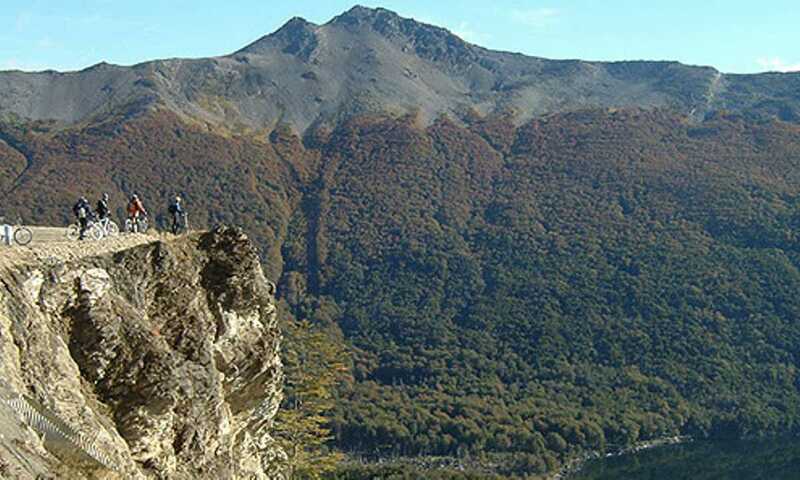 From here we can see where rivers Mosco and Mayer meet and the summits that surround O'Higgins. We will then take a boat trip in a fiord for a couple of hours to arrive at Candelario Mancilla remote farm, where we will stay. Optional extra boat trip to visit O'higgins Glaciar. Rest day. Lodging: Candelario Mancilla farm. Spectacular day crossing the border from Chile to Argentina in a pristine area where only pedestrians or bikers can be found (and horse riders!). Another a boat ride in Laguna Desierto, we will arrive at the south shore from where we can cycle viewing Fitz Roy peak at a distance until we arrive at El Chalten. Van Transfer from El Chalten to El Calafate (280 km/ 174 mi). Lodging: El Calafate, hosteria. Prices change according to group size. Please ask for more information. This trip can run as a group trip, with prices starting from $1,885 per person for a complete group. If you are looking to join a group or you are a solo traveller we will help to form likeminded groups of travellers. Please let us know your travel plans. Prices are per person based on a group of 3+ people. Supplements apply for smaller groups.